Honda Motors has made its intention clear that it is going to launch diesel cars and multi utility vehicles in the year 2014. This step is being taken to encourage sales of the Japanese car maker in the Indian car market. Honda lacks range of diesel cars in its India portfolio and has only petrol equipped cars on sale. Needless to say majority of car sales in the Indian car market account for diesel cars since diesel costs less than petrol (even after the recent Rs 5 hike which was done few days ago). Diesel price is around 20 per cent cheaper than petrol price in India. As per SIAM the sale of diesel engine cars in India has soared from 21.4 per cent in 2008 to 50 per cent in the June quarter. Despite slashing prices of its cars Honda City and Honda Jazz by Rs 1,10,000 and 1,65,000 respectively, Honda India sales dropped 8.47 per cent to 54,427 units in the last financial year that ended on March 31st 2012. Honda’s decision to launch entry level sedans and MPVs will help boost the company’s falling sales and availability of diesel variants will be like cherry on the top. India is the second fastest growing auto market in the world and doubling sales here would help the Japanese car maker to enhance its growth on global front. Not just India but other countries of the Asian continent like Thailand, Indonesia, and Malaysia are also on radar of the Japanese car maker where the company eyes to expand its structure. Honda is aiming at touching a sales mark of more than 6 million units by the financial year 2017. 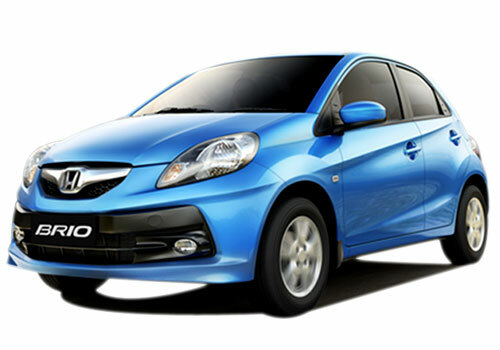 Honda is also planning to revive its product portfolio plans to suit the needs of the thriving markets. Conceived on Brio platform, the company might develop sedans and utility vehicles. Honda Brio hatchback which was launched in India last year in the month of September has been appreciated immensely by the Indian customers. Honda Motors which is also present in the motorcycle segment also plans to bring more products with equipped 100 cc engines. Honda which of late split with Hero now has to compete with it and hence is planning to launch new bikes in India. In the two wheeler segment, 100 cc bikes are highly in demand and the company wants to proffer ample products in this segment in order to carve a niche for itself in this competitive segment. The production of these bikes will commence at the company’s third plant which will go functional next year that is by 2013. Honda Motors recently launched its first 100 cc bike named Dream Yuga in April 2013. After long time Honda is planning to launch New diesel cars in 2014. It's good news for Honda Lovers. Perhaps,New Honda cars would come with quality features. New Honda cars is fantastic cars to drive, without a test drive. i trust honda cars. Good news I am waiting for Honda Diesel cars..